Congratulations to Barbara Jacobs of Katy, TX. 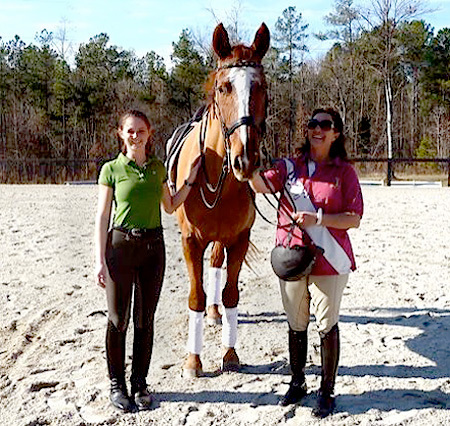 on her purchase of Bariton from Alison Coyle of Apex, N.C. Barbara is a lifelong equestrian who owns her own stable, Blue Ribbon Meadows, near Houston. She says she has already ridden Bari successfully in some clinics and plans to compete him and continue his training at the F.E.I. levels. Posted in News on January 3, 2012 by danruccia.